Alberto was born in Limassol,of Cyprus. His family were not musical in any way, but supported Alberto's musicality. Alberto started to develop his music education in a music school of Limassol associated with Trinity College London at the age of fifteen. At the age of seventeen he paused his music education for two years because of his military obligation. However, whilst serving in the Army he was part of a band as a percussionist or Drummer for many events. During his free time in this period he was working as a private drum teacher in a music school in Limassol. Once Alberto's Army term was completed, as he was wishing to enrich his music knowledge, he went to Middlesex University of London to study Music Performance in order to build his knowledge on classical music and in music in general. In London he had the opportunity to attend Darabuka lesson with the well-known Egyptian percussionist Tim Garside in association with Stockwell YMCA venue. Alberto has co-ordinated with a choreographer to compose and play the drums at Blueprint (East London Dance). He has composed the music for a second year Dance performance in Middlesex University. 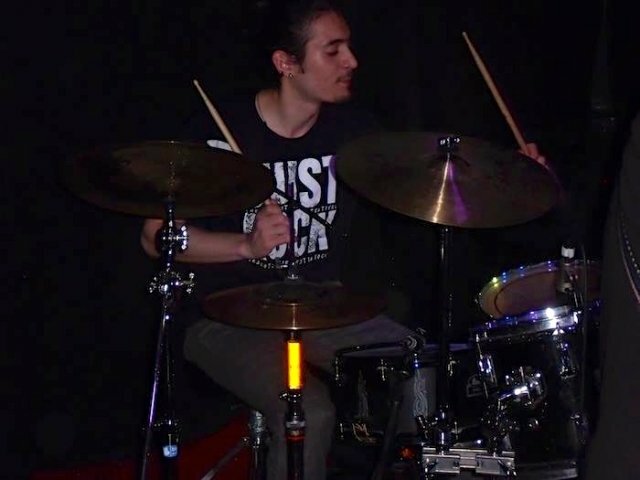 Alberto is also a composer of the Drum set and percussion and is currently working on his debut project about them. He is currently doing private tutoring and he is the drummer of the **Removed By Admin**Rock band **Removed By Admin** and he lives in London. •	Giving lessons in my studio, online or either at my students place all over London. Basic Books: Syncopation, Stick Control, Dante Agostini Prima Vista, The drummer’s Cookbook, Contemporary Drum Set Techniques.